Chios is an island in the eastern Aegean. Just short of the coast of Asia Minor. Just 3.5 nautical miles separate it from the cape Punta as the peninsula of Eritrea at the height of Cesme. It is the fifth largest island (904 tetr.chiliometra) with 213 km of coastline and a population that lives in the city of Chios, the capital and main port of the island and 64 villages. Even Chios has a large expatriate community in London and New Yorki.Ta main products exported are the famous mastic, oil, figs and wine and has an international reputation for the size and quality of shipping. 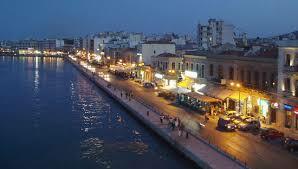 Administratively, along with the islands of Oinousses and Psara, Chios is the area whose population reaches 53 817 inhabitants (2005). The capital of the county, the city of Chios called Chora. Δεν έχουμε ξενοδοχεία σε ΧΙΟΣ. Παρακαλούμε επιλέξτε κάποιον άλλο προορισμό.